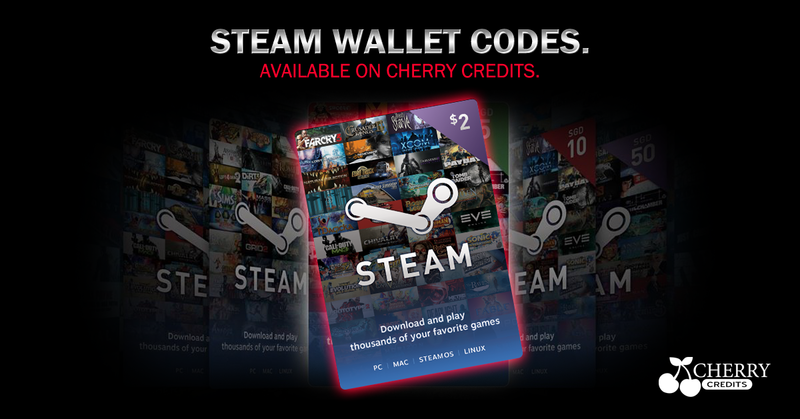 New Steam Wallet Code Regions on Cherry Credits! We have yet better news! The Steam Wallet Codes are now available in Macau, Pakistan, Taiwan and China! Purchase your next Steam Wallet Code of our store now! Australia, Bahrain, Brunei, Cambodia, East Timor, Hong Kong, Indonesia, India, Kuwait, Laos, Malaysia, Myanmar, Oman, Philippines, Qatar, Saudi Arabia, Singapore, Thailand, Turkey, United Arab Emirates (UAE), Vietnam, Korea, Nepal, Taiwan, China, Pakistan, Macau.